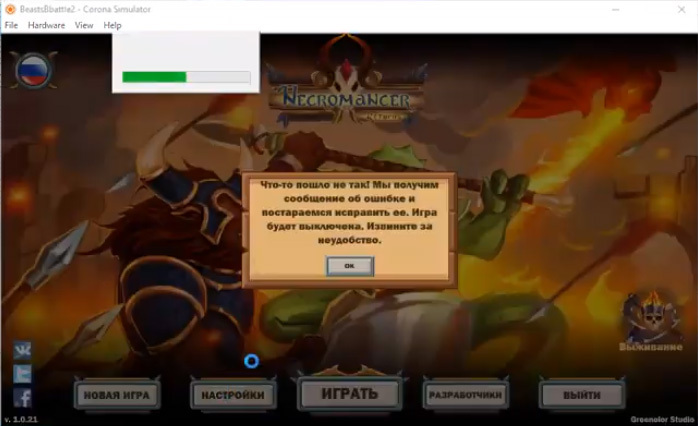 I watch recent video (in russian language) about mailgun.com error reporting from corona app. It's very primitive, yet pretty handy. When unknown error occurs, app sends email via mailgun api, and player sees popup before app crushing. How can we show this popup to user before app crush? I see that in corona it's made using event.unhandledError, how can we detect such event in Gideros? Assuming we are dealing with lua errors, you can just wrap your code inside pcall() and handle errors from your code. Gideros does this too but don't send events. Maybe that can be added somehow to gideros. -- опрацювати помилку err. в err знаходиться текст помилки "failed to do somthing"
But we have lots of functions in our projects, it's sort of inconvenient to pcall every single one of them?